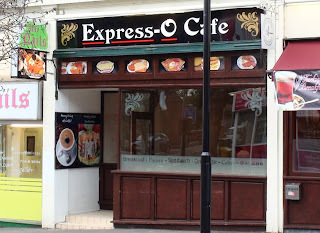 The blog is sad to report the demise of another Central Road new business. 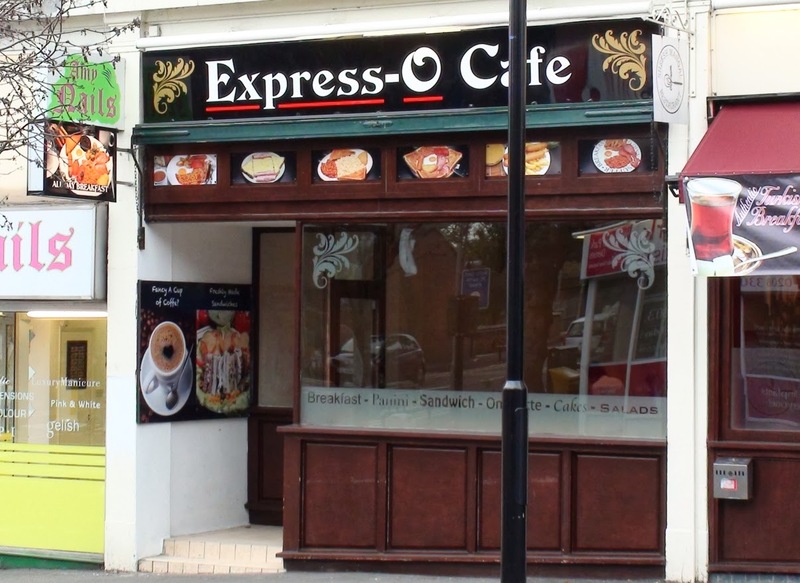 The Express-O-Cafe, which opened to much fanfare back in October (well actually not that much fanfare - more a meeting of a local fan appreciation society than a fan fair). However open they did, and coffee they made and enjoy some I did at the time. Unfortunately though the numbers of customers they needed to get through the door exceeded the number who actually came through it and last week they sold their last breakfast, gave their new coffee machine a final clean and closed the door for the last time. I wondered at the time how well they would do, especially in Central Road's fairly saturated market for coffee, breakfast and sandwiches but I wanted to see them succeed, just like I want to see anyone who pours their savings and all their efforts into a new venture do well. I am sad to see them go. The space is coming back into occasional use by the Sheesh Mangal restaurant next door who were letting the space to Express-O-Cafe. They have now reopened the internal door joining the two shops and unless and until they can let it out to another business they plan to use the space for special events and to extend their Sunday morning all you can eat buffet which they introduced a few weeks ago.